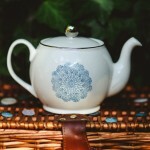 This lovely Bone China teapot has been hand finished with a design featuring cross stitch text and textile patterns. 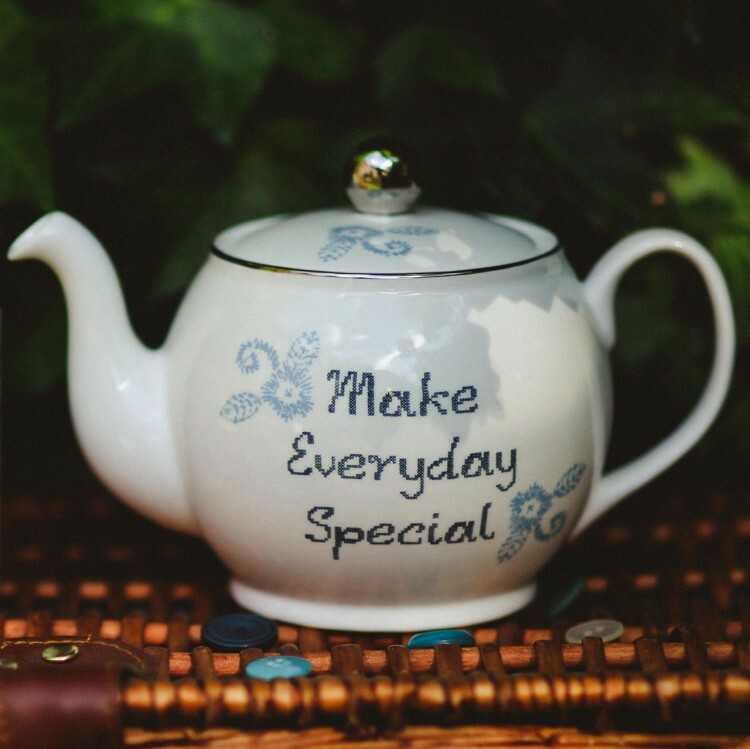 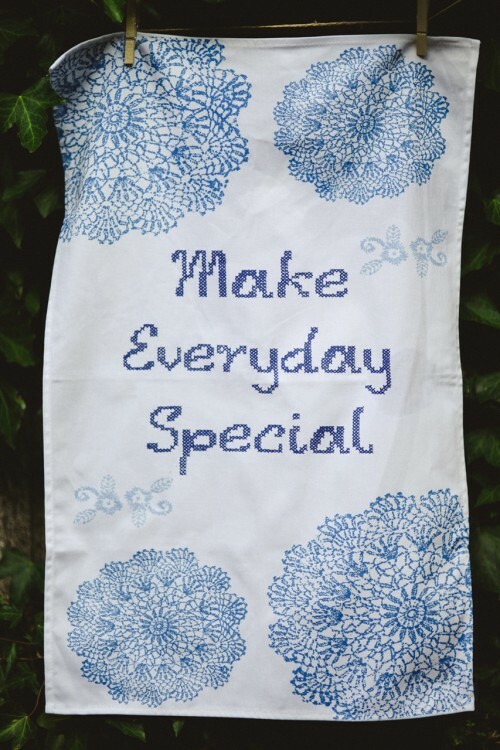 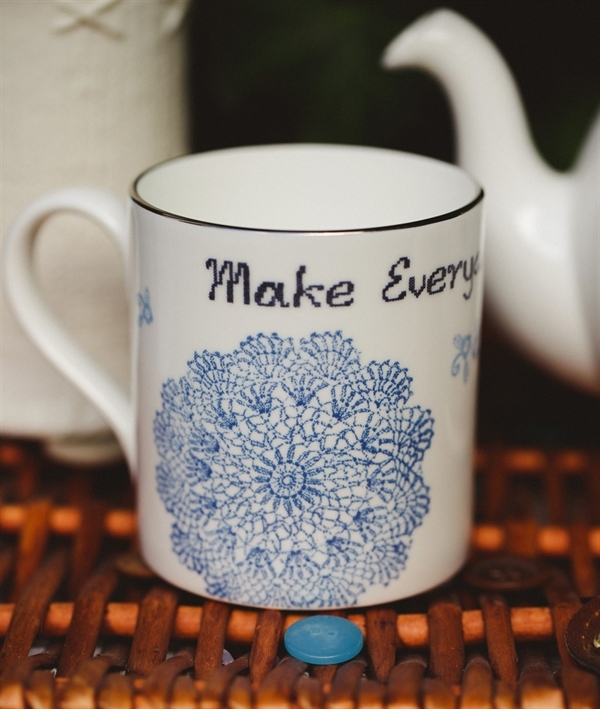 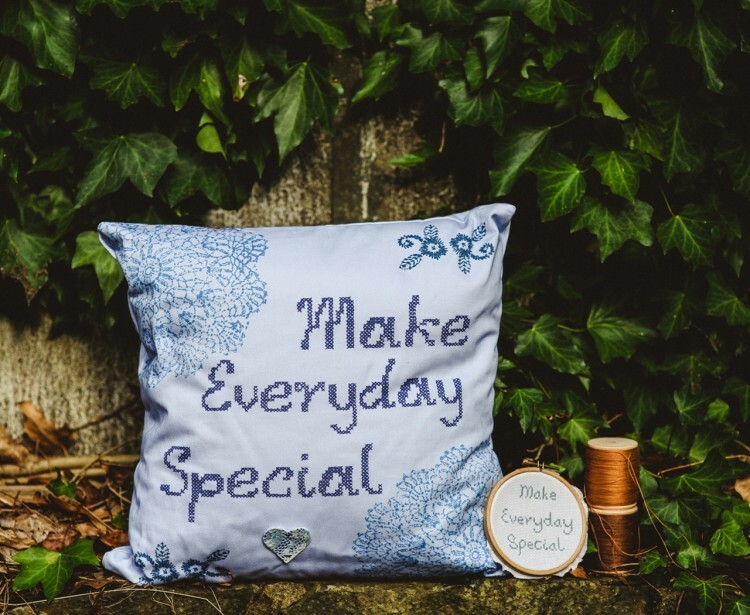 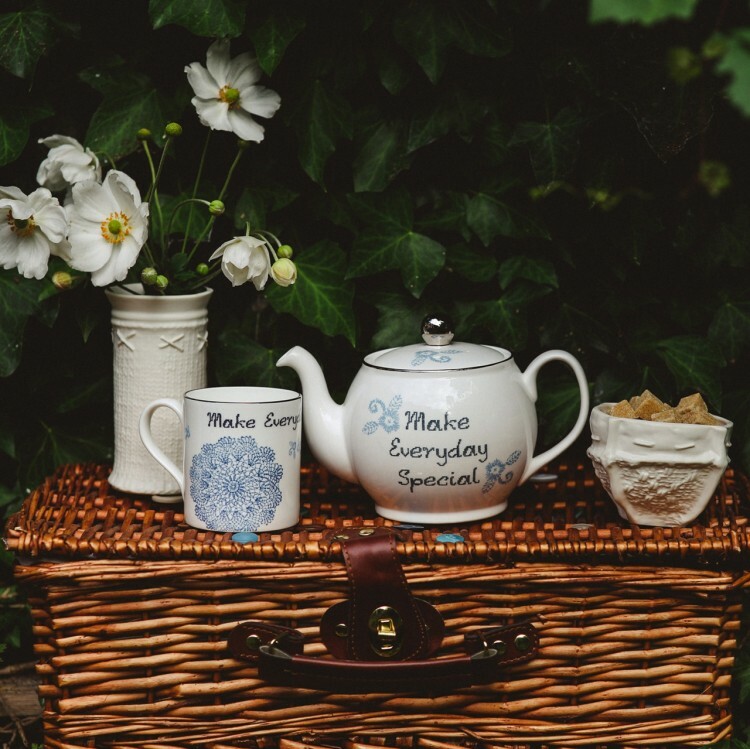 Designed by Clare to celebrate the joy of making the most of everyday experiences this teapot reminds us to Make Everyday Special. 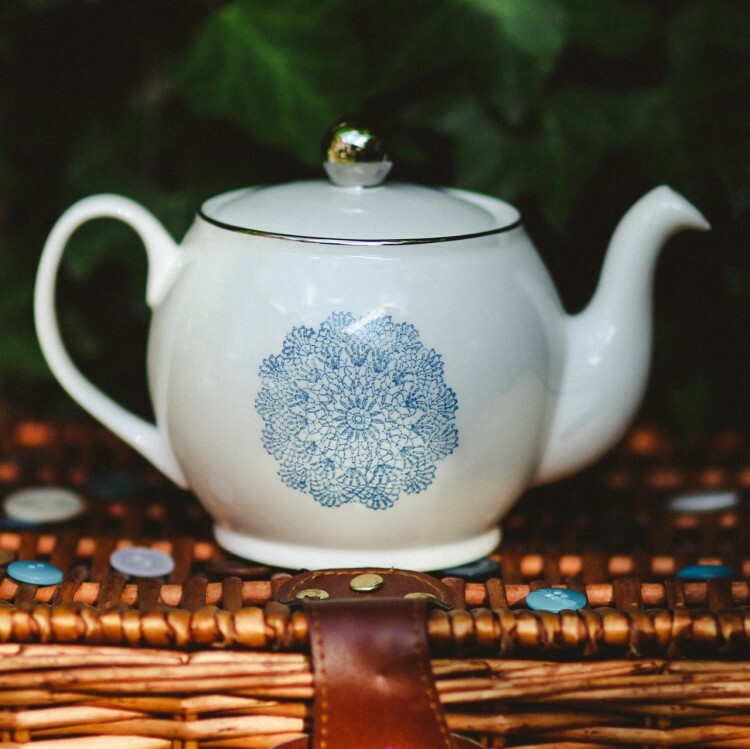 The teapot is delicately finished with platinum lustre on the rim and lid. 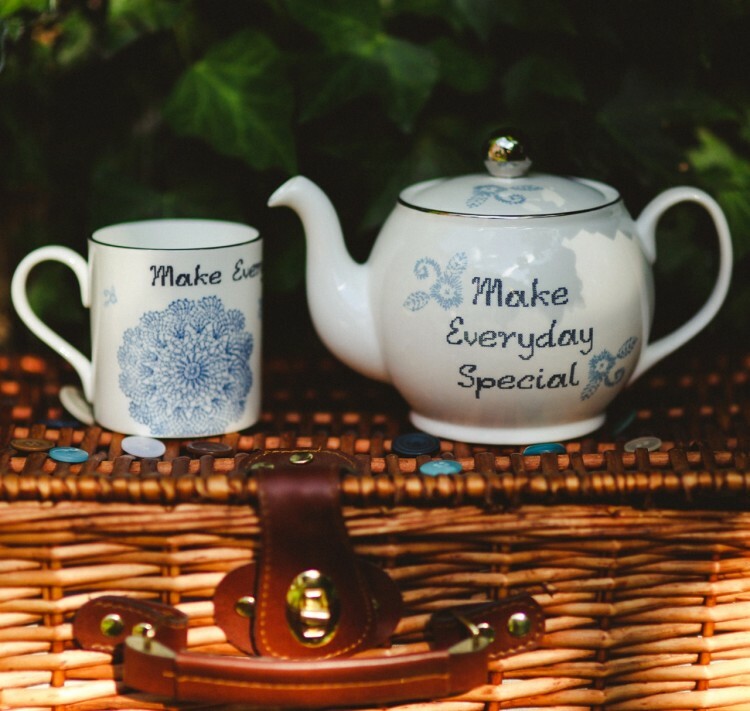 A truly special teapot to help you brew a perfect cup of tea! Each teapot comes in a Clare Gage gift box making it a perfect gift.